The Zenbook Infinity maintains ASUS' radial brushed finish, but thanks to the piece of Gorilla Glass 3 the feel is substantially improved. The combination of the metal and the glass cover results in an almost jewelry-like finish, which looks amazing in person. Photos really don't do this thing justice at all. 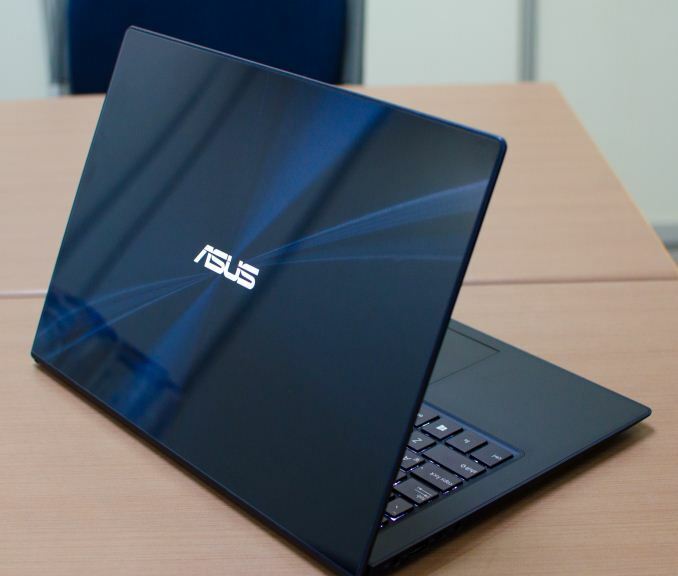 I sincerely hope this marriage of Zenbook design and a glass finish is part of a new design direction for ASUS. 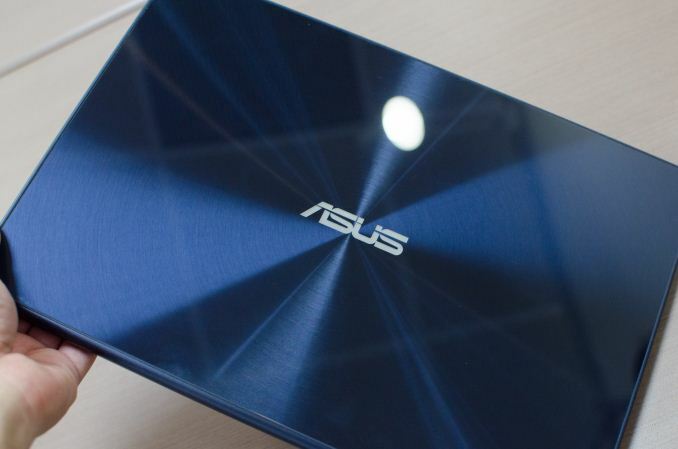 If we had a best of show award, I'd totally give it to ASUS for the Zenbook Infinity. Although it looked black at the press event, in person the Infinity actually has a blue finish to it. The keyboard and trackpad both felt great, as did the build quality of the prototype machine. The ASUS logo on the back uses the display's backlight for illumination. The ultra high resolution panel would normally be a mixed blessing on a Windows notebook thanks to horrible DPI scaling in Windows 8 desktop mode, but I'm actually wondering if that's a problem Microsoft will address with Windows 8.1 later this year. 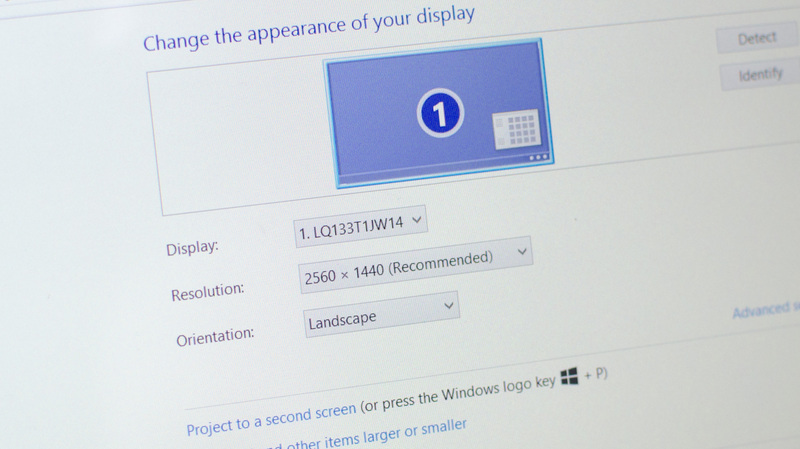 Given the way the PC ecosystem works, I can't imagine notebook vendors and Intel putting this much effort into driving high DPI displays without proper support from Microsoft. We'll find out for certain shortly here, but I'm getting a good feeling that the solution to this problem may be close. Internally, the Zenbook Infinity is also pretty cool. Unlike all other Haswell Ultrabooks we've seen, the ZBI is home to a 28W Haswell ULT: the Core i7-4558U. The dual-core part features Intel's Iris 5100 graphics (GT3 without Crystalwell) as well as a higher base CPU clock frequency. The result should be a very interesting combination of power efficiency and GPU performance on tap. ASUS seems to always pick the right parts to integrate into its mobile devices, and the i7-4558U is definitely an interesting one. 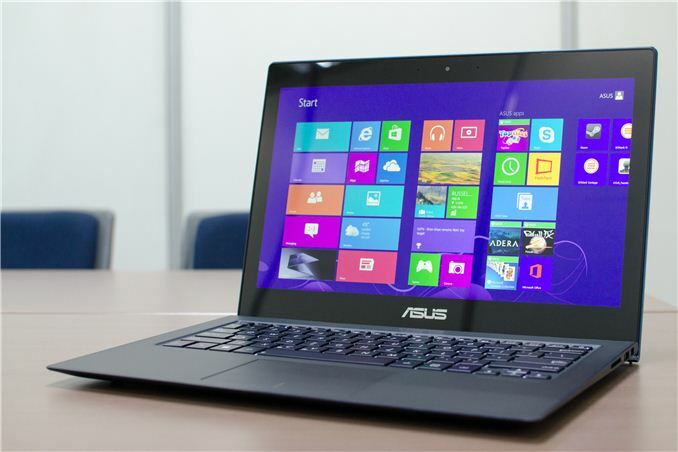 There's no word on when we can expect to see the Zenbook Infinity, but I'm getting the impression that many Haswell Ultrabooks are slated to arrive closer to the launch of Windows 8.1. Between the Zenbook Infinity and some of the other Haswell ULT designs I've played with at the show, I'm very excited about the state of Ultrabooks in the second half of the year. So I guess Intel thoroughly broke notebook ergonomics by mandating touchscreens (and hence reflective surfaces) on Haswell Ultrabooks. Matter screen dissipate all of the incoming lights that fall onto the screen equally in all directions, and this is why you do not see strong mirror effect there. However, along with this process, matte screens kill blacks and wash out colours *everywhere*, *all the time*, *at all angles*. Glossy screens reflect incoming light to a certain point and you can almost always find an angle so you would not see reflections, but rather high-contrast, deep black picture. I used to to graphics and retouching. And pretty much everyone who did that kind of stuff worked with the lights out specifically for that reason. That was back in the days of CRT screens, which were of course glossy. The really good retouchers had their own specially darkened offices to do that kind of work. Really? I guess your memory is a little hazy because I recall people using CRTs with diffusing coating or light filters for image editing on CRTs. I've always found matte to look better, especially outside.